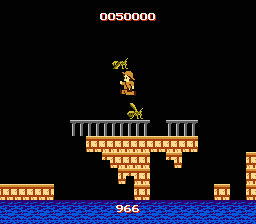 NES Atlantis no Nazo (JPN) in 02:40.4 by Vatchern. Atlantis no Nazo is a game where an explorer is trying to save his friend and must find his way through a maze of rooms. In this case, levels. This is an improvement of only 6 frames (0.1 seconds) over the previous version by the same author. It's an optimized version of the fast walkthrough of the game originally devised by Morimoto.